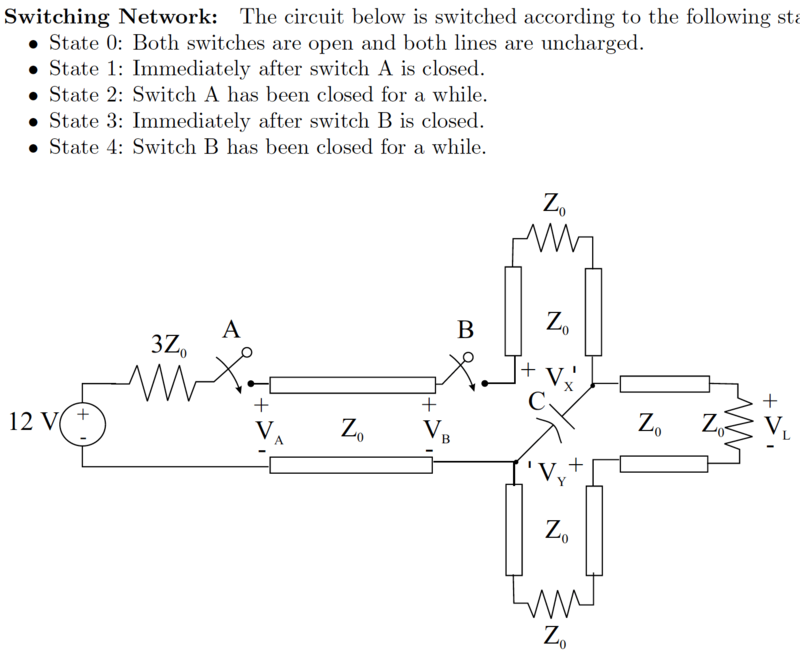 Below is the first time-domain transmission line “sequencer problem” that appeared in 2003 to test student’s knowledge of terminations, charged lines, reactive elements, cascades, and various other circuit behaviors. Believed (incorrectly) by many students to have been invented by Prof. Durgin specifically for the sadistic torture of Georgia Tech ECE 3025 students, these problems do nicely encapsulate two weeks of time-domain transmission line material in one single exercise. If you need some help understanding the concept, this lengthy video sample problem might make a good starting point. Do you want a snapshot of the group’s activities last year? Here is a word cloud with all of the group’s 2017 publications incorporated to give the scope of the work for the past year. Not surprisingly, our researchers like RFID, antennas, and the IEEE. It starts to get diverse after that, branching out into power, coding, encryption, and localization. Termination schemes on transmission lines … there are a lot more ways to suppress ringing on high-speed logic lines than simply sticking the right resistor on the end of the line. This video is part of the time-domain transmission line series that we use in GT electromagnetics. Test your knowledge of broadband antennas. Hint: this problem is a lot easier than it looks at first.